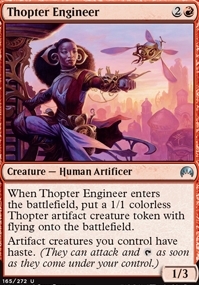 Thopter Spy Network ($0.35) Price History from major stores - Magic Origins - MTGPrice.com Values for Ebay, Amazon and hobby stores! 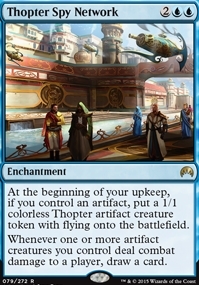 Card Text: At the beginning of your upkeep, if you control an artifact, put a 1/1 colorless Thopter artifact creature token with flying onto the battlefield. 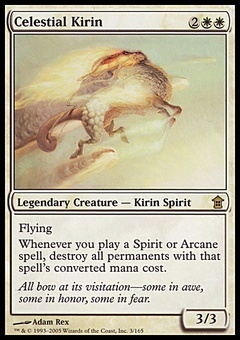 Whenever one or more artifact creatures you control deal combat damage to a player, draw a card.